Sat., Nov. 4, 2017, 9:54 p.m.
PASCO – No one has, in their right mind, thought Spokane-area high school runners have disappeared. After all, Spokane schools have had 10 boys team titles, three girls team crowns, five individual boys champs, and three more individual girls champions over the past five years. Lee was referring to the Spokane region’s great performance at the state cross country championships at Sun Willows Golf Course. 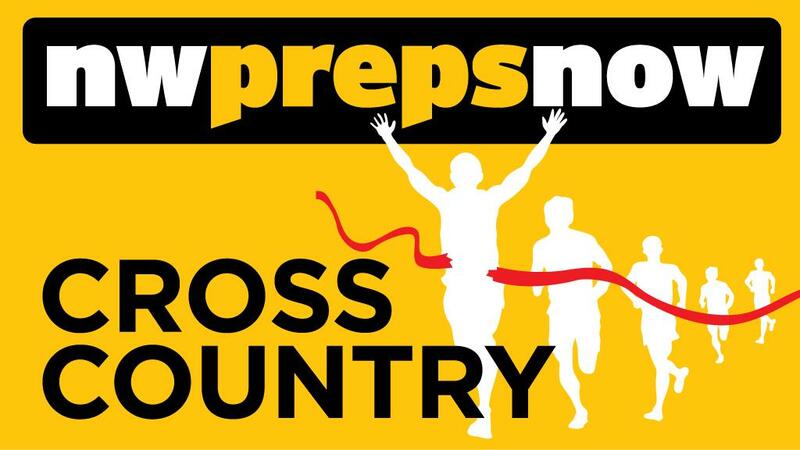 4A boys – Lewis and Clark team, Central Valley junior Ryan Kline; 4A girls – LC team, LC senior Katie Thronson; 3A girls – North Central team, NC sophomore Erinn Hill; 1A boys – Medical Lake team; 1A girls – Colville team. The one notable absence is the NC boys, who after an 11-year state championship team streak, finished third in the 3A race. LC’s Lee said he knew it would be a close battle for the team title with Central Valley. But maybe he didn’t realize it would be 86-87. Lee said instead of worrying about what CV was doing, the Tigers worried about themselves. “And we let the chips fall where they fall,” he said. Will Smith led the Tigers with a sixth-place finish. CV’s Kline had an incredible run. He was in 95th place after a mile. He was in 15th still at the 2-mile mark. So Kline held back until the right moment. With 600 yards to the finish, Kline began a tremendous surge to the front. Camas’ David Maton had to dive at the finish line to try to beat Kline, but it didn’t work. Kline finished in 15:11.3. The team loss to a Greater Spokane League rival wasn’t easy, especially when it was a one-point difference. Thronson felt she needed to run a perfect race to beat two-time state champion Taylor Roe of Lake Stevens. “And in my mind, I think I did it,” she said. It began at the start. The two ran with each other for much of the race. At about the 2.5-mile mark, Thronson made a break. “I decided this wasn’t going to be a back-and-forth race,” Thronson said. As she made the final descent down the last hill to the finish line, the crowd lining the course was stunned to see her in front. It started roaring. Thronson finished in 17:35. Roe was second at 17:37.6. The Tigers’ team title was also huge. They beat Camas 74-83. University’s Claire Dingus finished seventh. In the team race, Kamiakin finished with 55 points, Interlake had 92, and NC was third with 97 points. Knight was also proud of his team. Senior Markus Taylor led the Indians with a sixth-place finish, while Mohamed Ahmed was 10th. Lincoln’s James Mwaura repeated as state champion, finishing with the day’s-best time of 14:48.3. Hill, who finished fifth last year as a freshman, led from the 2-mile marker on and won in 17:55.3. As a team, NC scored 42 points, with three other runners in the top 10: Mia Hill, Marie Taylor, and Allie Janke. They finished sixth through eighth. The victory was huge for the Indians. The title for Medical Lake is its third in recent years. The Cardinals also won in 2013 and 2014. Mason Williams (eighth) and Tyler Pena (ninth) earned top-10 finishes for Medical Lake. College Place’s Kenneth Rooks won the race, his second title in three years. He had a time of 15:18.8. Riverside’s Ben Shaw finished second in 15:35.7. Riverside also finished second as a team with 130 points. Colville scored 114 points, beating runner-up La Center by three points. It was Colville’s first team title. Riverside’s Lizzy Shaw finished third, while Deer Park’s Becky George was fifth. Pullman’s Eliason Kabasenche finished eighth in boys 2A, and Cheney’s Bas Holland was 10th. Sehome won the team title with 94 points. Pullman was second at 107. … Sehome won the girls 2A team title with 101 points, while West Valley was second with 107. … Adna’s Austen Apperson won the 2B/1B boys title in 15:59. Tyler Shea of Northwest Christian in was second at 16:13.9. St. George’s placed third in the team race with 125 points. … Jora Gleason of St. George’s placed fifth among 2B/1B girls. Published: Nov. 4, 2017, 9:54 p.m.